Gain happiness and freedom from misery with BUDDHA™, Blizzard’s Universal DMX Data Handheld Appliance! 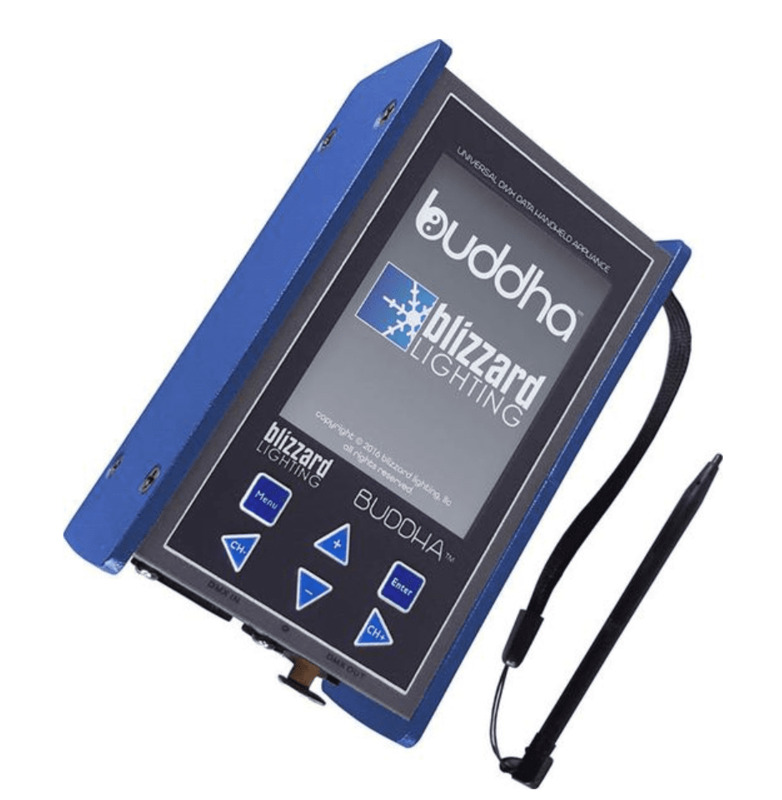 With its versatile functions and user-friendly 6-button + full-color TFT touch screen display, BUDDHA™ is fully equipped to measure, test, and troubleshoot any application with DMX controlled lighting. BUDDHA™ can be used test 3 and 5-pin cables, test midi signals, monitor and analyze signals, program sequences, and send and receive DMX, plus, is also equipped with an RDM controller function. It’s the ultimate solution to help bring peace and balance to many of life’s DMX-512 challenges, making it an indispensable tool for all professional lighting technicians and installers!